Double-click on the icon. Then double-click to open the folder. You will then see an icon for Double-click on this icon. Click on .Update. to add a new profile. Next, you will then see a welcome screen that explains the services you are setting up. Click on the right arrow at the bottom to continue. Here is the beginning of the setup process. 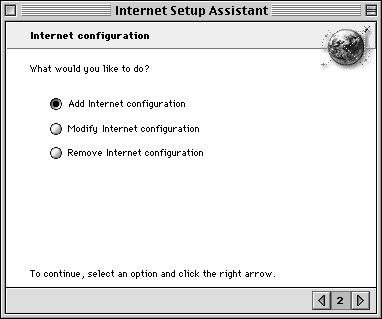 Select .Add Internet Configuration. and click on the right arrow to continue. Here is where the connection profile is named. In the box where it asks, .What would you like to name this configuration?. Enter in the name Spacestar. Under the section where it asks, .How will you be connecting to the Internet?. 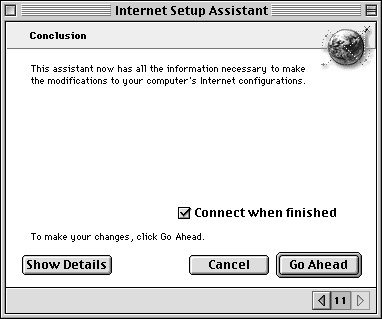 Select the button next to Modem. When you are finished, click on the right arrow to continue. Select the kind of modem you are using from the list. 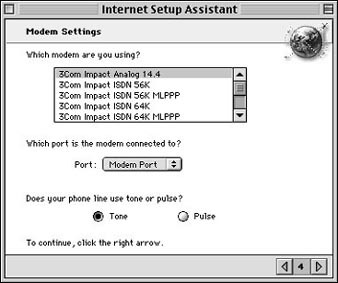 If you cannot find your modem, select the 3Com Impact Analog 14.4 modem. .Modem Port. or .Internal Modem. is normally set for the Port. Some laptops may have an option for Upper or Lower Card Slot. 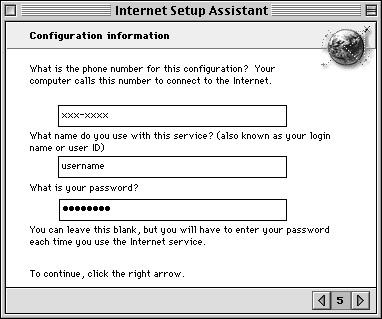 Here is where your dialup information is entered. The first box asks you for the Spacestar Dialup number. 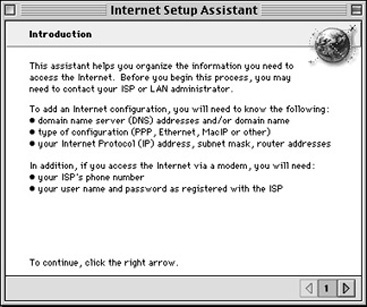 Type in the appropriate number from the Internet Setup Information sheet provided. 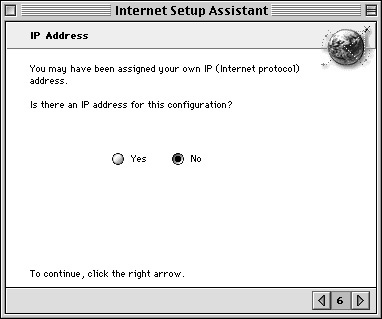 This screen asks if you are using a Static IP. Most users do not have one. Select 'No' and click on the right arrow to continue. 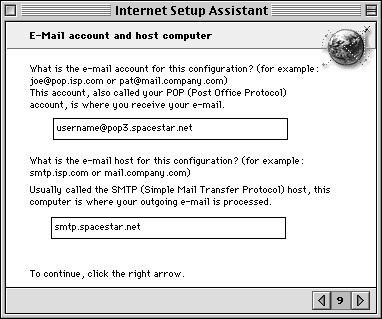 In the second box, type in spacestar.net and then click on the right arrow to continue. Type your e-mail address in the upper box. Next, enter your password in the lower box. This is where your mail account information is entered. If .Connect when finished. is selected, then the program will open up the PPP program when you click on Go Ahead. 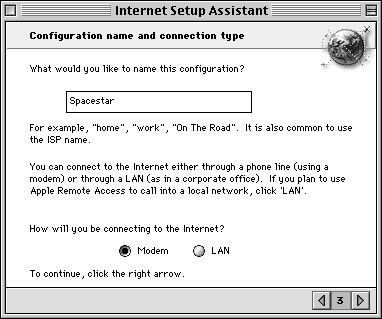 PPP (point-to-point protocol) is the program that is used to dial up into the Spacestar Internet Service. If you need basic startup software, more setup information, or have having trouble logging on, please contact us.